In 2015 we made some changes to our senior management team and corporate structure. 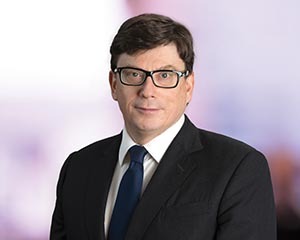 We appointed Warwick Bray to the role of Chief Financial Officer in May, following Andrew Penn’s appointment as CEO. Warwick's previous role was Group Managing Director, Products with responsibility for our mobile, fixed, NBN and WiFi products. He brings more than 25 years of global experience in finance, strategy, telecommunications and business development and a deep understanding of the worldwide telecommunications industry. We also integrated our Business Support & Improvement (BS&I) business unit into other parts of the company. BS&I, led by Robert Nason was created in 2010 to solve a number of specific cross-company issues Telstra was facing at the time. Since then, we have delivered productivity gains, our NPS score has improved significantly and we have established tools, processes and programs to help us simplify the business, which provided the opportunity to integrate the unit. Earlier this year, Robert decided to retire after championing this productivity and customer advocacy agenda across Telstra. He will remain until October 2015 to help manage the transition of work into our other business units. We made some changes to our International team to ensure we continue our focus on this strategically important part of our business and maintain our momentum. Tim Chen, President of Telstra International, will leave Telstra at the end of the calendar year however he will continue as the Chairman of Autohome. Tim has played a fundamental role for International as we have developed our relationships and capabilities in Asia. His contribution to navigating our growth paths in the region and in China position us well for the future success. 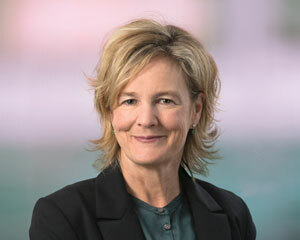 Cynthia Whelan will take on the role of Group Executive of Telstra International in an acting capacity. Non-executive Director since November 2000, Chairman from May 2009 and last re-elected in 2014. Chairman of the Nomination Committee, and a member of the Audit & Risk Committee and the Remuneration Committee. Ms Livingstone is a Chartered Accountant and has held several finance and general management roles, primarily in the medical devices sector. 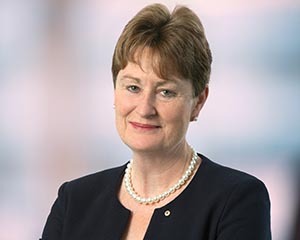 She was the Chief Executive of Cochlear Limited from 1994 to 2000 and Chairman of CSIRO from 2001 to 2006. 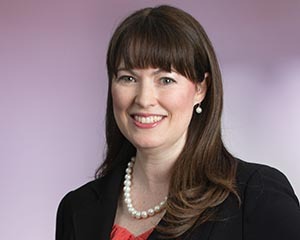 She has also served on the boards of Goodman Fielder Limited and Rural Press Limited. 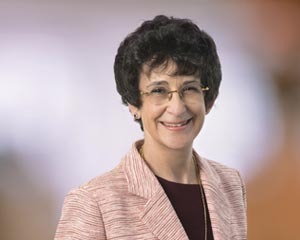 In 2008, Ms Livingstone was appointed an Officer of the Order of Australia for service to the development of Australian science, technology and innovation policies for the business sector. In 2014, Ms Livingstone was appointed President of the Business Council of Australia. Director, WorleyParsons Limited (from 2007), Macquarie Bank Limited (2003-2013) and Macquarie Group Limited (2007-2013). Other: President, Business Council of Australia (from 2014) and President, Australian Museum Trust (from 2012). Member, The Growth Centres Advisory Committee (from 2015), Commonwealth Science Council (from 2014) and the Prime Ministerâ€™s Business Advisory Council (from 2013). Director, The George Institute for Global Health (from 2012) and Saluda Medical Pty Ltd (from 2013). 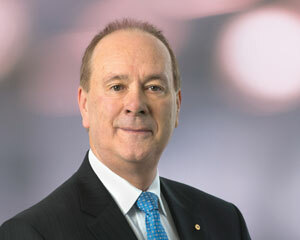 Chief Executive officer and Managing Director since 1 May 2015 Mr Penn joined Telstra in 2012 as Chief Financial Officer. In this role, he was responsible for strategy, mergers and acquisitions, treasury, internal audit, risk management, tax, corporate planning, reporting and analysis, external reporting and investor relations. 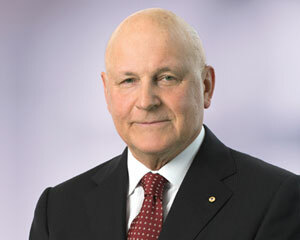 In addition, as Group Executive, International, he was responsible for expanding Telstra's operations outside Australia. Mr Penn is an experienced chief executive and chief financial officer with a career spanning more than 30 years. 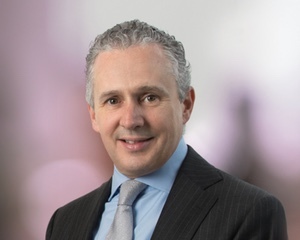 Prior to joining Telstra, he was with AXA Asia Pacific in a variety of positions around Asia for 20 years, including Group Chief Executive (2006-2011), Chief Executive Officer Australia and New Zealand, Group Chief Financial Officer and Chief Executive for Asia. Mr Penn has also contributed widely to not for profit and community organisations. Non-executive Director since November 2006 and last re-elected in 2012. Member of the Nomination Committee and the Remuneration Committee. Mr Cousins has more than 26 years experience as a company director. Previously Chairman of George Patterson Australia, he is also a former Director of Publishing and Broadcasting Limited, the Seven Network, Hoyts Cinemas group and NM Rothschild & Sons Limited. 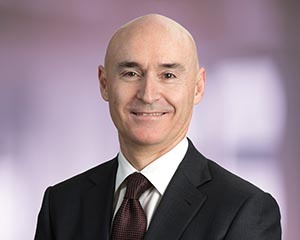 He was the first Chief Executive of Optus Vision and before that held a number of executive positions at George Patterson, including Chief Executive of George Patterson Australia. In 2014, Mr Cousins was appointed a Member of the Order of Australia for significant services to the community and to the visual and performing arts. Mr Cousins was previously a consultant to the Prime Minister. He was also Chairman of Cure Cancer Australia and of the St James Ethics Foundation, and has served on the boards of the Insurance Australia Group Ltd, Globe International Limited and a number of cultural institutions and not for profit foundations. President, Australian Conservation Foundation (from 2014). Non-executive Director since 15 August 2014, elected in October 2014. Member of the Nomination Committee and the Remuneration Committee. Mr Hearl is an experienced company director with substantial international experience as a senior executive in the fast moving consumer goods sector. Mr Hearl served in senior executive roles with Yum! Brands Inc from 1997 to 2008, including Chief Operating and Development Officer for Yum! Brands globally from 2006 until 2008. 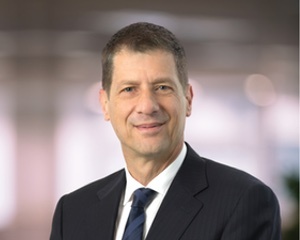 He previously worked for PepsiCo Inc in Sydney and London reaching regional vice-president level, as well as in various roles with Exxon in the United States and Australia. Director, Treasury Wine Estates (from 2012) and Goodman Fielder Ltd (2010-2015). Other: Member, UNSWâ€™s Australian School of Business Alumni Leaders Group and previously honorary Chairman of the US-based UNSW Study Abroad-Friends and US Alumni Inc.
Non-executive Director since September 2009 and last re-elected in 2012. Member of the Audit & Risk Committee. Mr Higgins is an experienced company director who has worked at very senior levels of both government and private sectors. 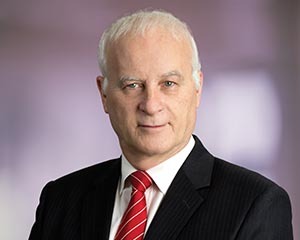 He has served on the boards of a wide range of listed companies, private companies, government business enterprises and international organisations, including as Chairman of the Snowy Mountains Hydro Electric Scheme and the Global Carbon Capture and Storage Institute. From 2003 to 2004, he was Chairman of the then Prime Ministerâ€™s Energy Task Force and prior to that he was Secretary of the Department of Industry, Science and Resources. In 2006, Mr Higgins was appointed an Officer of the Order of Australia for service to the community in financial management and accountability, microeconomic reform and science and innovation. Director, APA Group (from 2004), Argo Investments Limited (from 2011), Leighton Holdings Limited (2013-2014) and Ricegrowers Limited (SunRice) (2005-2012). Non-executive Director since August 2013 and elected in October 2013. Mr Lim is an experienced company director and has almost 30 years of experience in the technology sector across the Asia Pacific Region. He is the Managing Partner of Stream Global Pte Ltd, a venture fund providing seed funding for technology start ups. He was CEO of Frontline Technologies Corp Inc., a Singapore Exchange listed company, from 2000 to 2008 and BT South East Asia from 2010 to 2011. 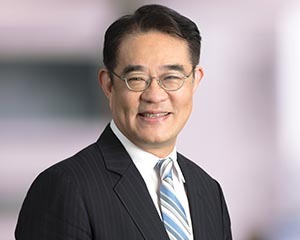 Previously, he was Managing Director for Sun Microsystems in Singapore and country director for Sun in Thailand, Indonesia, the Philippines and Vietnam during the 1990s, after a career in Hewlett Packard in the 1980s. Director, Kulicke & Soffa Industries Inc (NASDAQ: KLIC) (from 2011), Keppel DC Reit Pte Ltd (from 2014). Other: Director, Heliconia Capital Management Pte Ltd (from 2014), Citibank Singapore Ltd (from 2013), G-Able (Thailand) Ltd (from 2011) and Changi General Hospital & Integrated Health Information Systems (from 2009). Fellow and Council member of Singapore Institute of Directors (from 2012) and Infocomm Development Authority â€“ Personal Data Protection Advisory Committee (from 2013). Non-executive Director since July 2008 and last re-elected in 2014. Chairman of the Remuneration Committee and a member of the Nomination Committee. 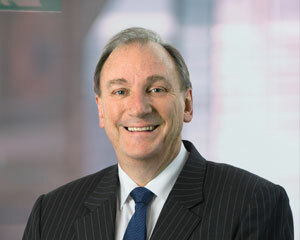 Mr Mullen is the Managing Director and Chief Executive Officer of Asciano Ltd and has served in that role since 2011. He has worked for more than two decades in a multitude of senior positions with different multinationals including 10 years with the TNT Group - two years of those as its Chief Operating Officer. From 1991 to 1994, he held the position of Chief Executive Officer of TNT Express Worldwide. Mr Mullen joined Deutsche Post World Net as an Advisor in 1994, becoming Chief Executive Officer of DHL Express Asia Pacific in 2002 and Joint Chief Executive Officer, DHL Express, in 2005. 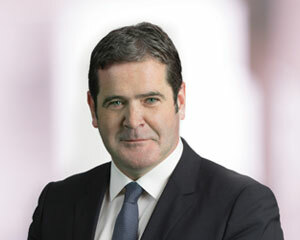 Mr Mullen was Global Chief Executive Officer, DHL Express, from 2006 to 2009. Director, Asciano Ltd (from 2011), Brambles Limited (2009-2011), Embarq Corporation USA (2006-2009) and MAp Airports Limited (2010-2011). Other: Member, Australian Graduate School of Management (from 2005). Non-executive Director since August 2010 and last re-elected in 2013. Chairman of the Audit & Risk Committee. Dr Scheinkestel is an experienced company director with a background as a senior banking executive in international and project financing. She consults to government, corporate and institutional clients in areas such as corporate governance, strategy and finance. She is also an Associate Professor in the Melbourne Business School at Melbourne University and a member of the Takeovers Panel. Dr Scheinkestel has served as Chairman and Director of a number of utilities. Other prior directorships include AMP Limited and its funds management and banking subsidiaries, Mayne Group Limited and Mayne Pharma Limited, Medical Benefits Fund of Australia Ltd, Newcrest Mining Limited and North Limited. In 2003, she was awarded a centenary medal for services to Australian society in business leadership. Chairman, Macquarie Atlas Road Limited (from 2015 (Director from 2014)), Director, Macquarie Atlas Roads International Limited (from 2015), Stockloand Corporation Ltd (effective 19 August 2015), Orica Limited (from 2006 and retiring effective 1 December 2015), Insurance Australia Group Limited (from 2013-2014), Pacific Brands Limited (2009-2013) and AMP Limited (2003-2013). 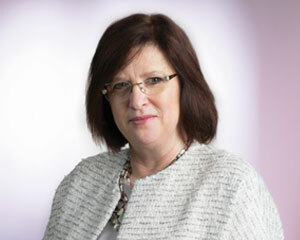 Non-executive Director since May 2012 and elected in October 2012. Member of the Audit & Risk Committee. 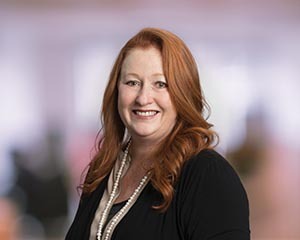 Ms Seale has more than 25 years experience in senior executive roles in Australia and overseas, including in consumer goods, global publishing and the transition of traditional business models to adapt and thrive in a digital environment, and in sales and marketing. She was Managing Director of Random House, Australia (with managerial responsibility for Random House New Zealand) and President, Asia Development for Random House Inc, the global company. She was Chief Executive Officer of The Macquarie Dictionary and Lansdowne Publishing (1997-1999), and also of the Juvenile Diabetes Research Foundation (1994-1997). She served on the boards of the Australian Publishersâ€™ Association, the Powerhouse Museum, the Sydney Writers Festival and on the Council of Chief Executive Women, chairing its Scholarship Committee (2011-2012). Director, Ramsay Health Care Limited (from 2015), Bank of Queensland Limited (from 2014). Other: Director, Random House Australia, New Zealand (from 2001). Non-executive Director since September 2009 and last re-elected in 2012. Member of the Nomination Committee and the Remuneration Committee. Mr Vamos has more than 30 years experience in the information technology, internet and online media industry. He led Microsoft Australia and New Zealand from 2003 to January 2007 before moving to the United States to become the companyâ€™s online business head of worldwide sales and international operations. Previously, he was Chief Executive Officer of ninemsn. Mr Vamos also worked for Apple Computer in the 1990s after spending 14 years in senior management roles at IBM Australia. 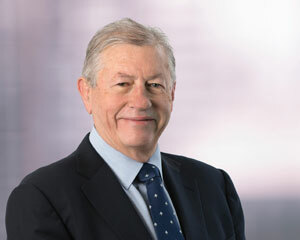 Director, Fletcher Building Limited (from 2015), David Jones Limited (2012-2014). Other: Director Medibank Private Limited (2011-2014), Reading Room, Inc (from 2013), BDB Soti Pty Ltd (from 2012), eGeneration Investments Pty Limited (from 1999). Member, Advisory Board of the University of Technology Sydney Business School (from 2011). Non-executive Director since May 2006 and last re-elected in 2012. Mr Zeglis has had a long and distinguished career in the US telecommunications sector. He joined AT&T in 1984, and was elected its President in 1998 and Chairman and Chief Executive Officer of the AT&T Wireless Group in 1999. 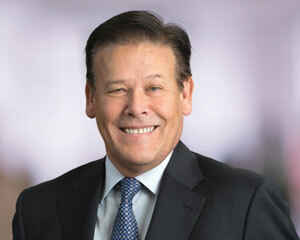 He continued as CEO of AT&T Wireless until retiring in November 2004 following the companyâ€™s sale to Cingular Wireless. He has also served on the boards of Georgia Pacific Corporation, Illinois Power Company and Sara Lee Corporation. Mr Zeglis has a legal background, and became partner with the law firm Sidley & Austin in 1978. 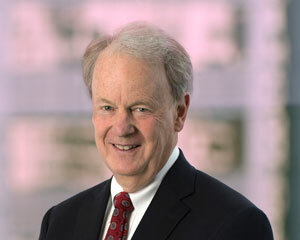 He was General Counsel of AT&T from 1986 to 1998. Director, Helmerich & Payne Corporation (from 1989). Other: Director, The Duchossois Group (from 2011) and State Farm Automobile Insurance (from 2004). Mr Penn became Chief Executive Officer in May, 2015. 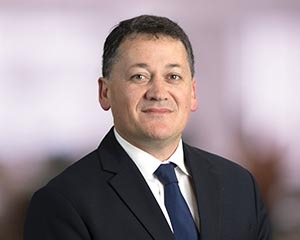 Prior to his appointment as Chief Executive, Andrew led the Finance and Strategy and International teams as Chief Financial Officer and Group Executive International. Telstra Retail brings together Telstraâ€™s core domestic activities covering consumer, business, sales and marketing, fixed and mobiles, our National Broadband Network and media products, and our Telstra Healthâ„¢ business. The Finance and Strategy team is responsible for corporate planning and strategy, accounting and administration, treasury, risk management and assurance, corporate security, investor relations, capital planning and delivery, billing and credit management, procurement and supply chain and mergers and acquisitions. Human Resources is responsible for organisational effectiveness and capability, talent and succession management, implementation of people and culture initiatives, leadership development, health, safety and environment, workplace relations and all employment and remuneration policies and practices that work towards making Telstra a great place to work and its people a source of competitive advantage. Telstra Wholesale is responsible for telecommunication products and services delivered over Telstra networks and associated support systems to non-Telstra branded carriers, carriage service providers and internet service providers as well as NBN Co. Telstra Wholesale also buys services from NBN Co and other carriers on behalf of the whole company. Telstra Operations is responsible for the planning, design, engineering, construction, operation, maintenance, service installation and restoration of Telstraâ€™s networks and information technology. The group is also responsible for the companyâ€™s innovation portfolio, encouraging company-wide innovation and creation of new service opportunities. 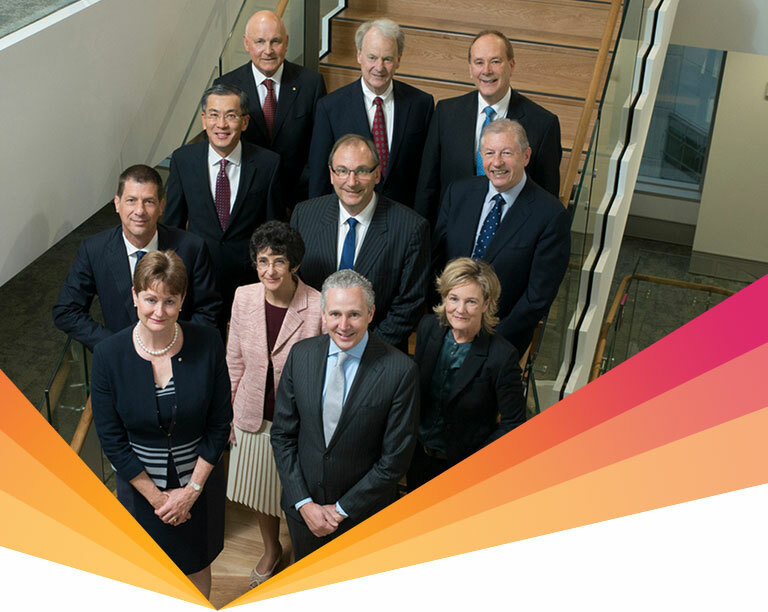 Telstra Legal Services provides operational and strategic legal support and advice to the Board and across the company, including on corporate governance and compliance, contracts, consumer law, mergers and acquisitions,Â regulatory issues and dispute resolution. Global Enterprise and Services provides enterprise and Government customers in Australia and around the world with leading networks, advanced products and solutions, Â together with supporting services to enable the connected business world.Â It is also responsible for incubating Telstra Software Group, a new division focused on intelligent video solutions for the personalised TV world, and muru-DÂ® a start-up accelerator supporting the next generation of entrepreneurship. Corporate Affairs is responsible for Telstraâ€™s internal and external communications, government relations, regulatory affairs and sustainability (including the Telstra Foundationâ„¢). Telstra International is responsible for developing Telstra operations and activities outside of Australia to deliver on the company strategy. This includes identifying growth opportunities in target markets, with a particular focus on Asia. 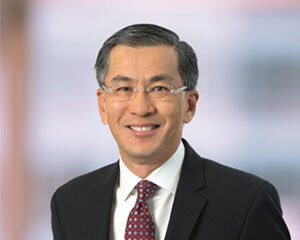 Tim Chen, President of Telstra International, will leave Telstra at the end of the calendar year. 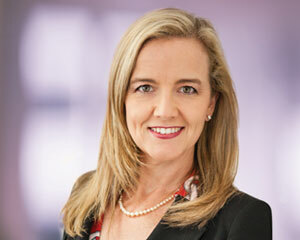 Cynthia Whelan will take on the role of Group Executive of Telstra International in an acting capacity. Tim will continue as the Chairman of Autohome. Robert Nason previously Group Executive Business Support & Improvement (BS&I) announced his retirement and will stay at Telstra until October 2015 to help manage the transition of the BS&I unit into our other business units.